Women and newborns are the heart of midwifery. To a midwife, nothing is more important than making sure that each woman and newborn access to the best possible care before, during and after pregnancy and childbirth. And to the best partnership to a woman who is pregnant or giving birth, is one with skilled midwife. This is something that every woman must have access to. Although progress is being made, thousands of women continue to be affected from complications during pregnancy such as gestational diabetes which could be detected early and treated or managed with proper antenatal, delivery and post-natal care—all services which are provided by midwives. Baby being born very large with extra fat, this can make delivery difficult and more dangerous for the baby thus a need for caesarean section. Increase the risk of high blood pressure during pregnancy, low blood glucose right after birth and breathing problems for the baby. Gestational diabetes is serious, so it is important for pregnant women to have access to care and services to ensure the best health outcomes for them and their babies. Evidence shows that well-trained and skilled midwives could deliver 87 percent of essential care needed for all women and newborns. Where available, a qualified midwife in collaboration with other skilled health workers can partner with pregnant women to help prevent, detect and treat gestational diabetes. 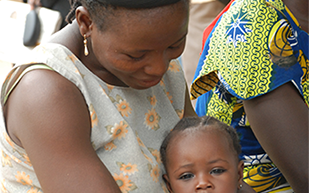 Worldwide, there are over 400,000 pregnancies per day, and each of these women need and must access quality maternal health services, to ensure her well-being throughout her pregnancy. Every woman regardless of their background has a right to these quality reproductive health services, which is ideally provided by a midwife. However, many of these women, especially in the developing world, do not get these important services and therefore may be at risk for developing complications. Midwives play a unique role for pregnant women and their families through partnership with women to promote self-care and the health of mothers, infants and families; and a focus on health promotion and disease prevention that views pregnancy as a normal life event. Well-educated, regulated, and supported providers are also a key to progress, because midwives and others through professional associations can be a profound and powerful voice for change in countries. Therefore, on this World Health Day, the International Confederation of Midwives emphasizes the need for increased investment in midwifery services, thus contributing to early detection of complications such as gestational diabetes. 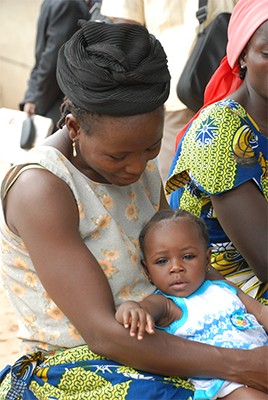 It is our vision that every childbearing woman has access to a midwife’s care for herself and her newborn.